And the rich, sparkly (still slightly wet) after! Holyslapmyfaceandcallmeshirley! 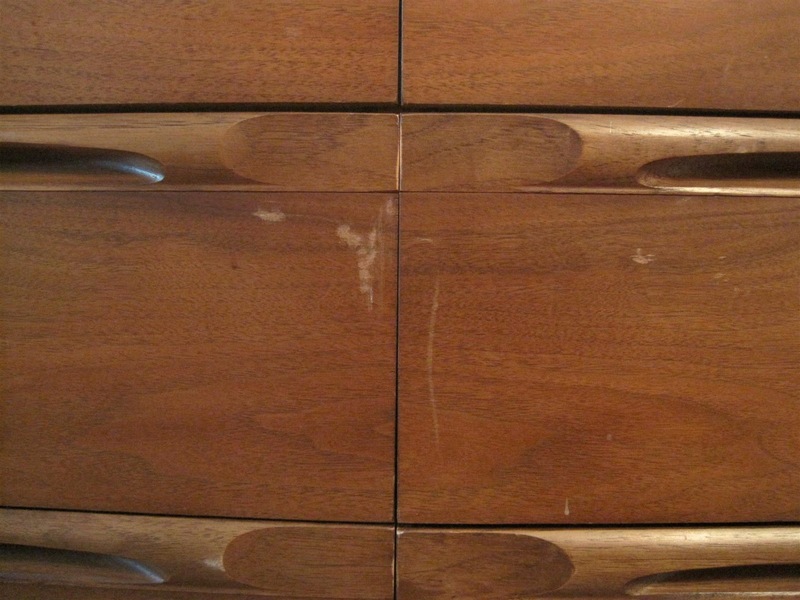 Oh yes, this is the same dresser. No, it isn't the same room or the same lighting....but the results still speak for themselves. I used the Walnut shade because restorers online suggested using it for nearly every shade of wood except very light tones. When I was able to pick my jaw up off the floor, I let the Restor-A-Finish dry overnight, then coated the entire piece with a nice thick layer of Howard's Feed-N-Wax, and buffed out the excess after about 30 minutes. I love the soft sheen! Both products were just wiped on with old towels, in case you are curious. There was nothing complicated about the application. So, who's going to buy some Howard's products to fix up their old wood furniture? Or maybe a better question is, who isn't going to buy this stuff?? Holy schamolians! That stuff is incredible. Thanks for the debrief. I've bookmarked this for future reference. 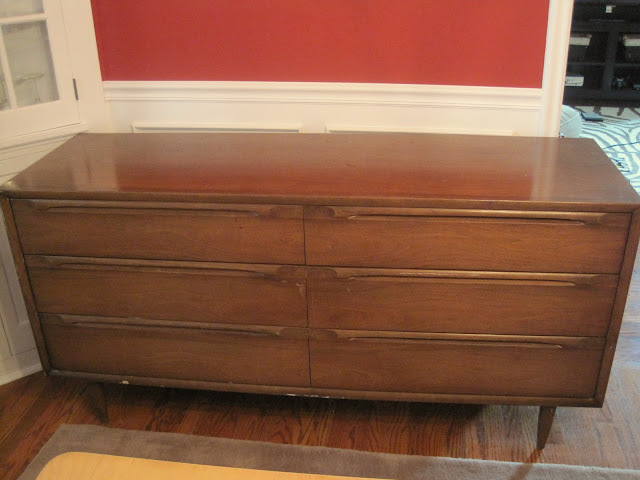 i love restor-a-finish!! i've used it on a lot of the woodwork and doors in my house too, it does wonders. thanks for reminding me, i still need to do all of the woodwork downstairs. Totally cool. Amazingly great transformation. I have always wondered about that stuff. Thanks for putting my doubts to rest! The dresser looks as swanky as it must have when it was new! Oh WOW! Where can you this stuff? My dining room table really needs some work! Holy cow, that looks INCREDIBLE!!! Great job!! Incredible! I now HAVE to try it someday! i see some howards in my future :) thanks for the post... i can't wait to get some for myself! Oh my that looks great! I'll have to remember this for our dining room set we want to refinish. That's amazing! Can you use it on wood floors? Oh my god, that's amazing. As soon as I have a house finished enough to put furniture in, I'm getting some! Holy cannoli, that looks amazing. If only I hadn't painted every piece of furniture in our house, I'd be trying it. 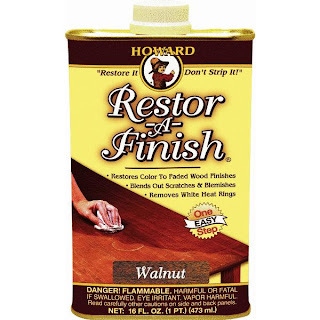 I've heard amazing thins about Restor-a-Finish, but now I'll definitely have to try it on something. It looks amazing. Holy! This looks amazing! I love that you kept the wood visible and didn't paint over it!!! Will it work on wood floors? I wanna try this stuff now. Wowza!! I'm glad you posted about this, because I've thought about buying the Howard's Restor-A-Finish before, but didn't know if it would work. 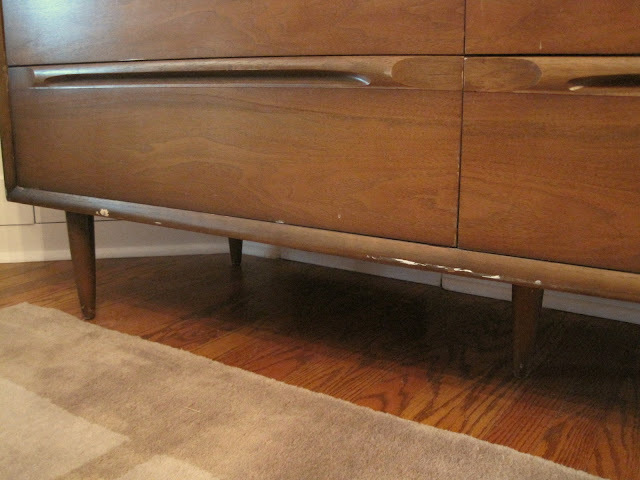 In fact, I thought about using it on the top of my console table before I decided to do the poly stain instead. 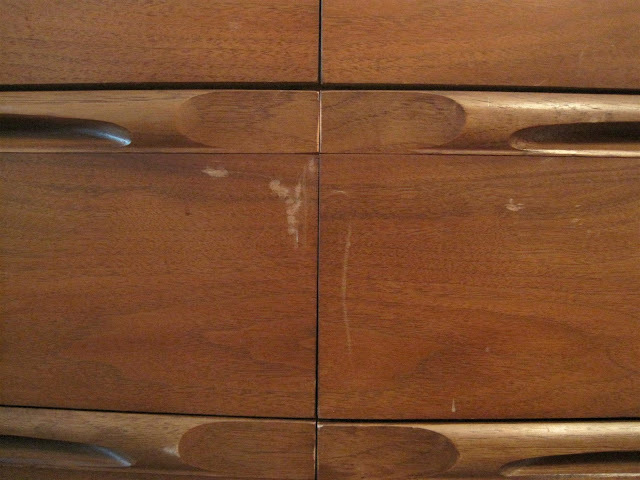 Anyway, your dresser looks awesome! Just wanted to throw out there that Restor-A-Finish is not meant for wood floors. It's meant to restore finishes other than poly, which is what most wood floors are coated with. I am on this like my oldest son on a bucket of chicken! Thanks for the tip, you're about to save me hours of work! I am in awe. (I'm also on my way to the store to pick some up.) That stuff is amazing!!! Holy mother of God, that stuff is amazing! Try it on the antique desk! This looks so good Sara! Awesome awesome awesome job! This is seriously amazing. I can't believe the difference. I have a few pieces I wanna try it on.